Such a lovely gardenia. As much as I would like to grow it, I don’t think it will survive in the garden during winter in the Northeast. I have one gardenia in a pot (no idea what it is) that I’ve had for the past three years but it doesn’t seem to do anything. It barely survives. I think being in and out of the basement twice a year doesn’t help. Hey, thanks so much for the quick identification of this butterfly. I really appreciate learning the name. Gardenias are probably not hardy where you are. I don’t know a lot about them but Chuck Hardy is only hardy to USDA zone 7(0-10f). Does your gardenia get enough light in the basement? I’ve never tried to keep one indoors (actually have given up on most indoor plants). I don’t think rows of plant lights in the basement provide enough light for the tropical plants, but the Lantana has provided flowers. I thought it needs more light than Gardenias. I love tropical plants too much to give up indoor plants. Gardenias are really superstars of the plant world, you are so lucky to be able to grow them outside, they have to be indoor plants here unfortunately. I managed to grow one in a pot for a few years but it was never happy, did manage a few flowers so I know the wonderful perfume you are now enjoying! Glad you remember that lovely scent. I probably would not have the patience to grow them inside. 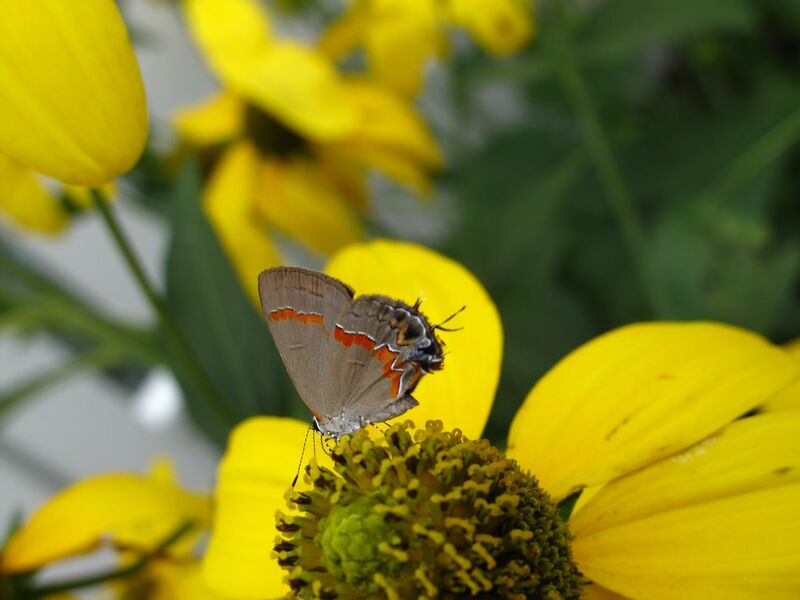 That little butterfly was constantly moving around the cone so I got lots of out-of-focus shots along with these two. 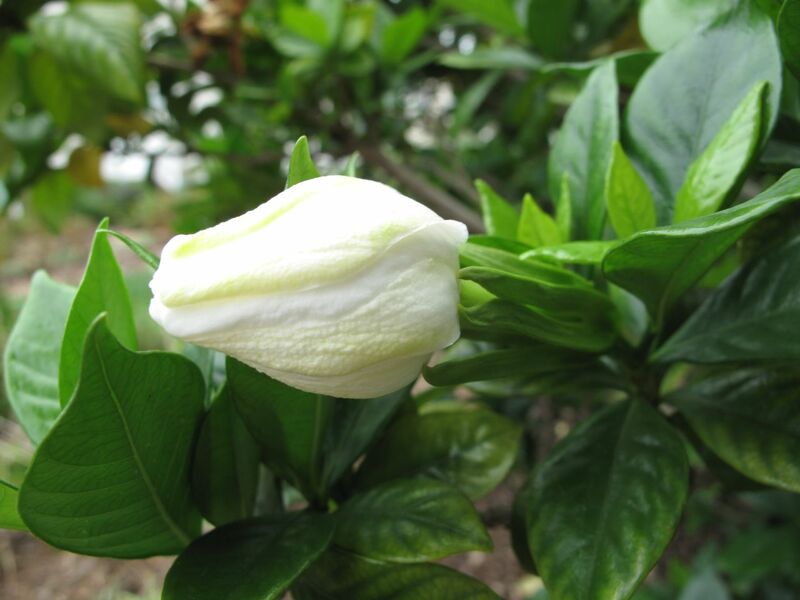 Thanks for the encouragement for the new gardenias–it will be nice if they do well. Here in CT, we can only grow gardenia as an annual. How lucky you are to be able to grow an entire fragrant hedge of it. It does seem so fortunate. Several of my original ones died out out due to drought. Hope the August Beauty is hardy–we can get down to 0F some winters (certainly not the last one). Glad you can at least enjoy gardenia as an annual. I’m delighted you enjoyed these. 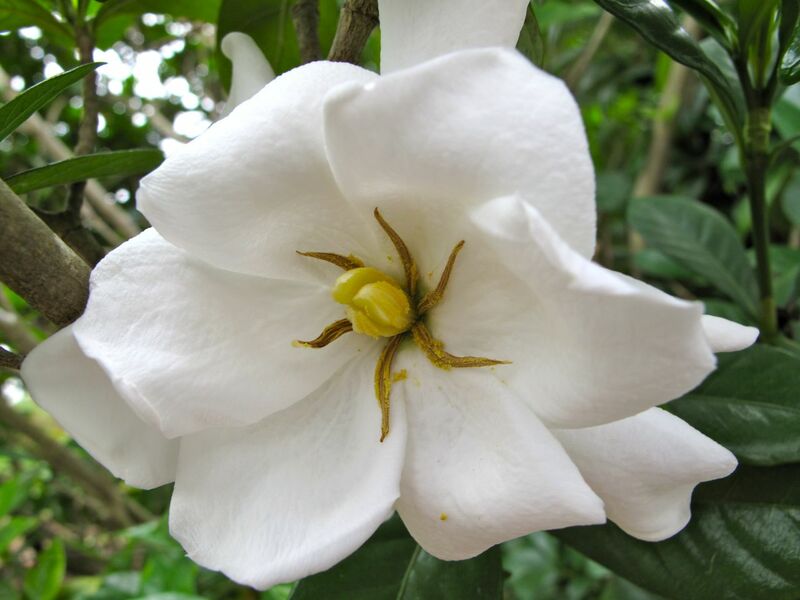 Hope you can find a way to extend your gardenia enjoyment Christina! With this post I have come to realize how lucky it is to be able to grow gardenias here. 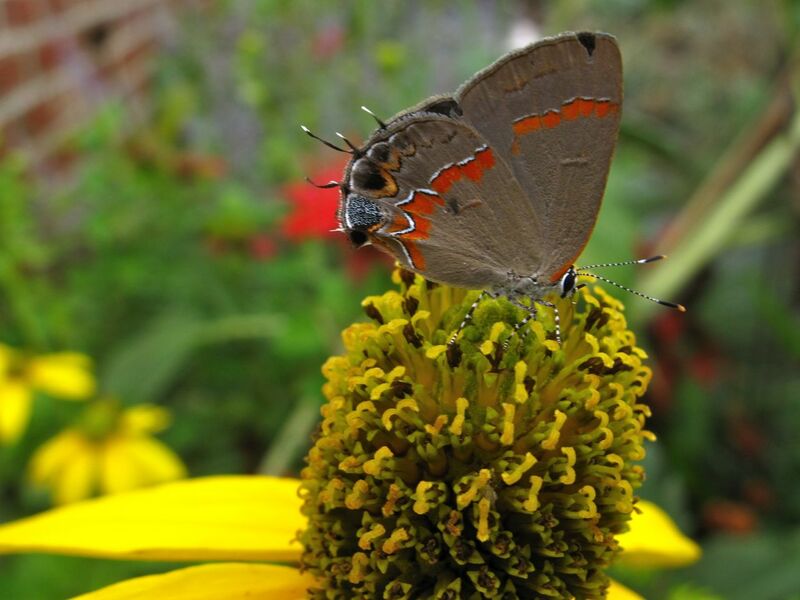 Beautiful butterfly on a beautiful plant. How lucky to be able to grow these stunning flowers – they are the height of luxury and definitely chic. Lovely butterfly pix too. Thanks Linda. Well it does feel lucky. Some years the gardenias don’t do much. This year the repeat bloom in August has been a real treat.